Sarah Baxter smashed the CR by 16s at Mt. Sac with a 16:00 clocking! Perrin gets MT state title, Rohrer and Erba super fast in IN! Much more inside! Scott Carpenter wasn’t about to play hero right away at the Brown University Northeast Cross Country Championships on Saturday. 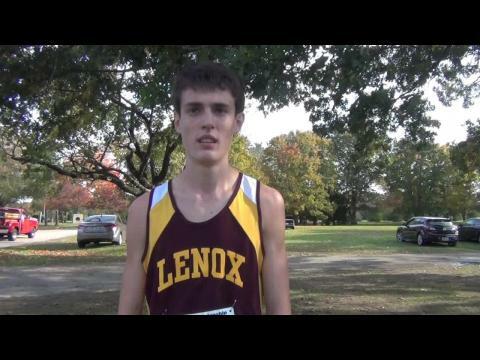 With a talented field that featured several runners capable of traversing over Goddard Memorial State Park’s generous five-kilometer layout in the low 15-minute range, the senior from Lenox High was content with just hanging with the lead pack and making his move in the late stages. Every three years, when the All State Meet heads West to Northfield, the MSTCA puts on an invite there to get runners accustomed to the steep climb of the early portion of the race. Some simply put their head down and find a way through the hills, while others would prefer hiring a Sherpa, viewing the steep ascent as more of a death march than a cross country race. Late October is a beautiful time to be in New England. The air is crisp, the leaves are changing colors, and championship season is just around the corner. The perfect storm of competition from across the Northeast, Goddard Park’s flat 3 mile 5k course, and the fact that all of the athletes are just beginning to round into top form usually conspires to produce some great races and jaw-dropping times. The Multi-talented Coach "Z" brings us into his home via Google Hangout as he recaps all the action of both the Bay State and Brown Invitationals. “Around the Course’’ Barrington girls win Champ. team honors The Eagles’ McMillan takes freshman race By BOB LEDDY R.I. Track & Field Foundation 20 Oct. - - As was true of many of the finishers at Saturday’s 30th annual Brown University Northeast Cross Country Championship at Goddard Park, Cumberland’s Trevor Crawley wore the “scars of battle‘’, to wit: a good amount of mud. Any photos of the meet?